The official advance sheets of the Washington Supreme Court. LexisNexis is proud to be the Official Publisher of the Washington Official Reports. 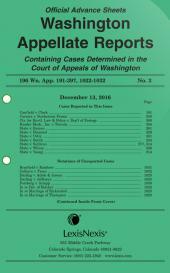 LexisNexis is the only place to find the Washington Official Reports, the official case law of the state of Washington. As the one official publisher of the Washington Official Reports, LexisNexis® editors are part of the court’s publishing process, working closely with the Washington Reporter of Decisions’ staff to meet all requirements for authenticity, integrity and accuracy. 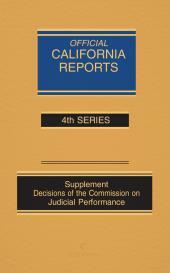 Before becoming official case law in the bound volumes, opinions are published in the Advance Sheet. This subscription provides you with the any advance sheets that are published within your subscription year. A new issue of the Advance Sheets is published approximately 26 times each year. The Supreme Court Advance Sheets are the popular “yellow books” containing the full text of the Supreme Court’s opinions, fully headnoted by a professional staff of Washington lawyers headed by Ray Krontz, the former Reporter of Decisions for the Washington courts. 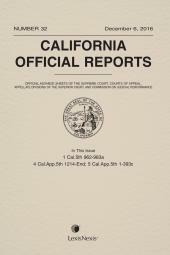 The reports also contain the latest announcements of court rule amendments and rescissions, proposed court rules, Commission on Judicial Conduct rules, lawyer discipline announcements, dispositions of petitions for review and motions for discretionary review, and other opinion disposition notices. Plus, you can start enjoying alerts regarding recently released opinions—right to your inbox. Click here to subscribe to Heads Up for Washington. There’s only one official version of Washington case law—with court-supervised and court-approved headnotes and timely revisions that ensure accurate interpretation. This is it!